Hemingway is a tasty series of shapely handmades from the cigar titan Carlos Fuente. Carefully fermented, with aged tobaccos make this a highly sought after line of cigars. 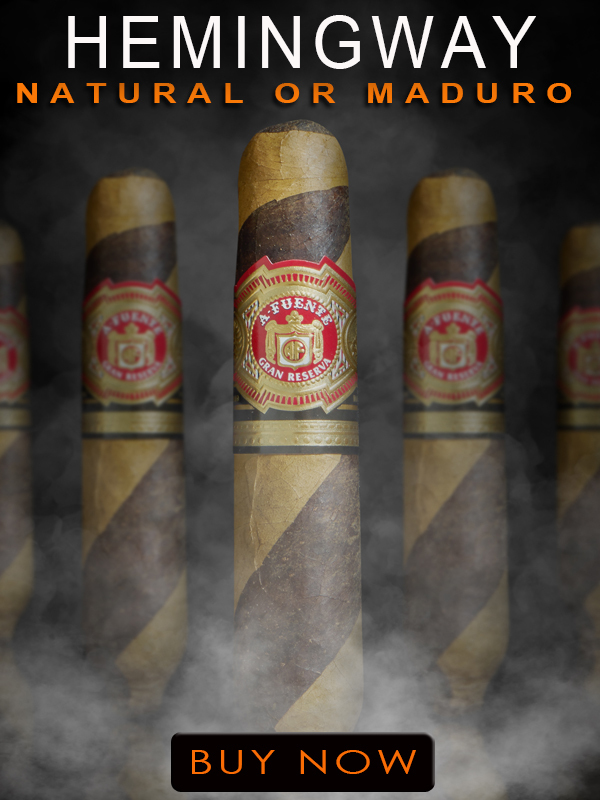 Fuente strictly controls the quality of these smokes by only allowing the most experienced cigar makers the honor of rolling them, and then only allows them to roll 75 per day. Incredibly rare, these complex and medium-bodied smokes are worth grabbing a box when the opportunity strikes. We don't mark these down often, so grab 'em while you can!